The disappearance in mysterious circumstances in the center of Algiers in early 2009 of Ahmed Khalil, a senior Polisario executive, has resurfaced. 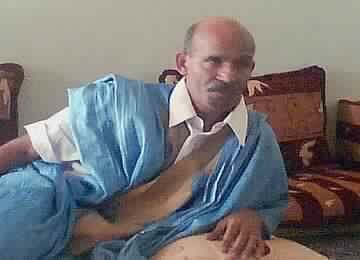 The family members of the Moroccan Sahrawi, Ahmed Khalil, who held the position of Advisor on Human Rights to the Polisario leader, Mohamed Abdelaziz, denounced the disappearance anew holding the Polisario leadership fully responsible for this act. “What we want is justice,” the missing person’s son, Rachid Khalil, told Europa Press on Saturday. Ahmed Khalil, whose six brothers are imprisoned in the Tindouf camps in Algeria, had not been heard from since early 2009, when he made a trip to Algiers to give lectures on human rights at universities in the Algerian capital. At the time, persistent reports spoke of Ahmed Khalil’s abduction by Polisario militia with the help of the Algerian intelligence services, which suspected him of wanting to escape the camps and join Morocco. In 2014, the Forum for the support of Tindouf autonomists (Forsatin) asserted in a statement that Khalil had been kidnapped and possibly eliminated for having openly criticized the serious violations of human rights in the Tindouf camps. Precisely, before he disappeared, Ahmed Khalil was going to denounce, during his trip to Algiers, the violations and abuses committed by the Polisario torturers at the orders and with the blessing of the Algerian intelligence services. These services, fearing that the foreign press accredited in Algiers, would propagate Ahmed Khalil’s criticism and seditious ideas, choose a radical option, that of silencing him forever. Informal Sahrawi sources assure however that Ahmed Khalil is still alive and is being held by the DRS in a secret location in Ben Aknoune. Rachid Khalil, resident in San Sebastian (Spain,) lodged a complaint about his father’s case with the UN Working Group on Enforced or Involuntary Disappearances (WGEID.) He simultaneously called on international Human Rights NGOs to put pressure on Algiers “to prevent the risk of physical liquidation” of his father, a fate that awaits any opponent or dissident to the Polisario.